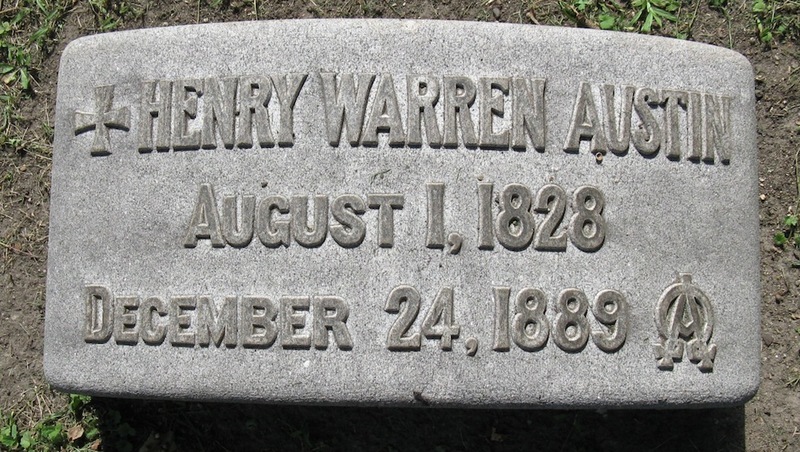 Henry Austin, Sr. (1828-1889) became a traveling salesman for a Seneca Falls, New York, iron pump manufacturer which established a Chicago office in 1860. Austin moved here with his family and built a house in Oak Park (then known as Oak Ridge) on a large lot bordered by what are now Lake, Marion, Forest, and Ontario Streets. Today, the Lake Theater is located where the house once stood, and Austin Gardens is the last remnant of the family estate. Austin was elected a member of the Illinois state legislature in 1870. 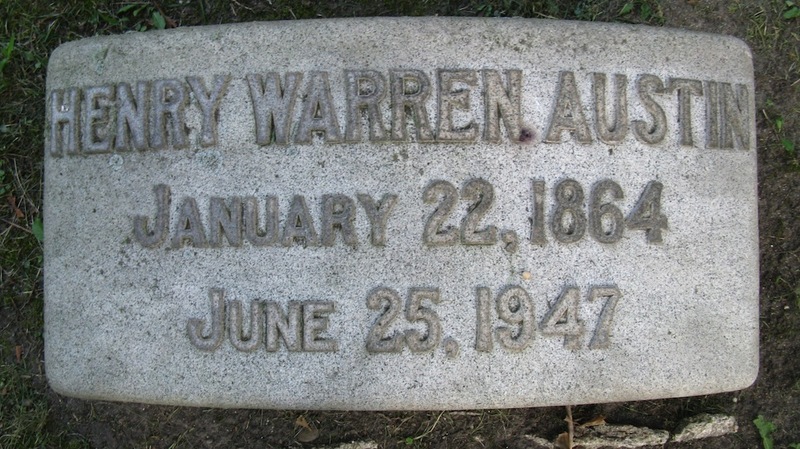 He was a believer in temperance, and, despite the disapproval of his largely German constituency, he worked with the Cicero Township Board to ban new saloons in Oak Park. Austin then bought the last few taverns in town and spilled all the liquor into the street before closing them. The village's prohibition against liquor sales lasted 100 years. 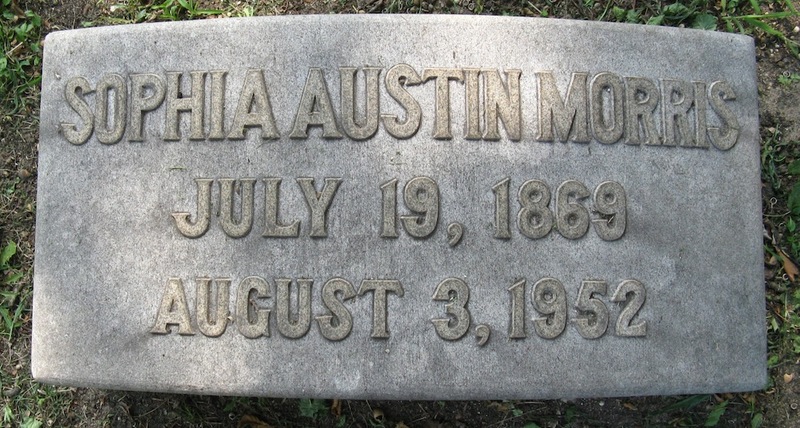 Austin also founded the Austin community, a village located between Chicago and Oak Park on 280 acres of land that he claimed in 1866; the area was annexed to Chicago in 1899. Henry Austin, Jr., (1864-1947) like his father, served in the state legislature, and supported prohibition. 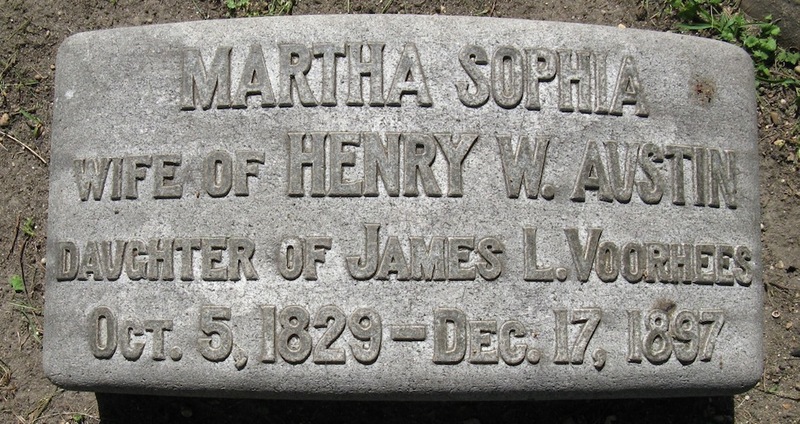 He also established the Oak Park Trust and Savings Bank. Edna Austin, his wife, had come to Oak Park in 1902 to teach school. An activist with a keen interest in domestic science and international relations, she helped establish the Council on International Affairs, the Oak Park and River Forest Day Nursery, and the Community Lecture Series. Their son Wallis continued the tradition of community service as a philanthropist, organizer of the Village Managers Association (a political group), and member of several boards. 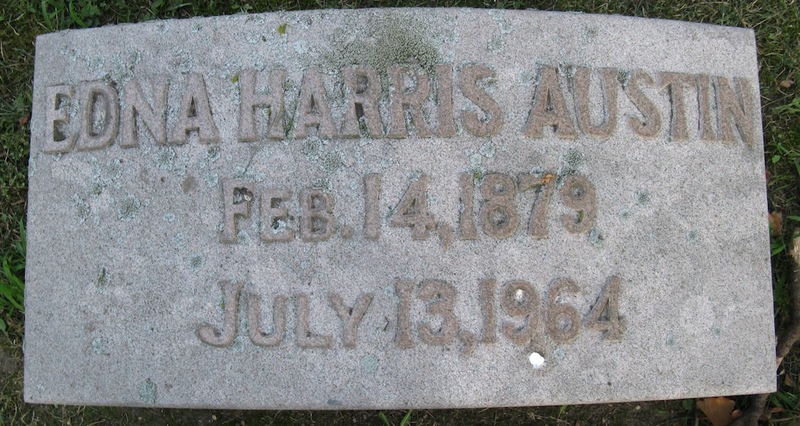 The above ground grave belongs to Hannah, daughter of Henry Austin Sr., who died on Christmas Eve at the age of eight. Her father, it is said, could not bear the thought of his little girl buried under the cold earth.